This spooky addition to Alvin Schwartz's popular books on American folklore is filled with tales of eerie horror and dark revenge that will make you jump with fright. There is a story here for everyone—skeletons with torn and tangled flesh who roam the earth; a ghost who takes revenge on her murderer; and a haunted house where every night a bloody head falls down the chimne This spooky addition to Alvin Schwartz's popular books on American folklore is filled with tales of eerie horror and dark revenge that will make you jump with fright. There is a story here for everyone—skeletons with torn and tangled flesh who roam the earth; a ghost who takes revenge on her murderer; and a haunted house where every night a bloody head falls down the chimney. 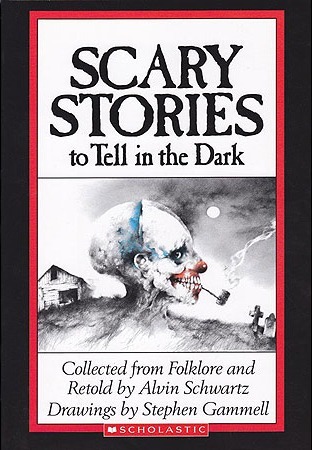 Stephen Gammell's splendidly creepy drawings perfectly capture the mood of more than two dozen scary stories—and even scary songs—all just right for reading alone or for telling aloud in the dark. If You Dare!